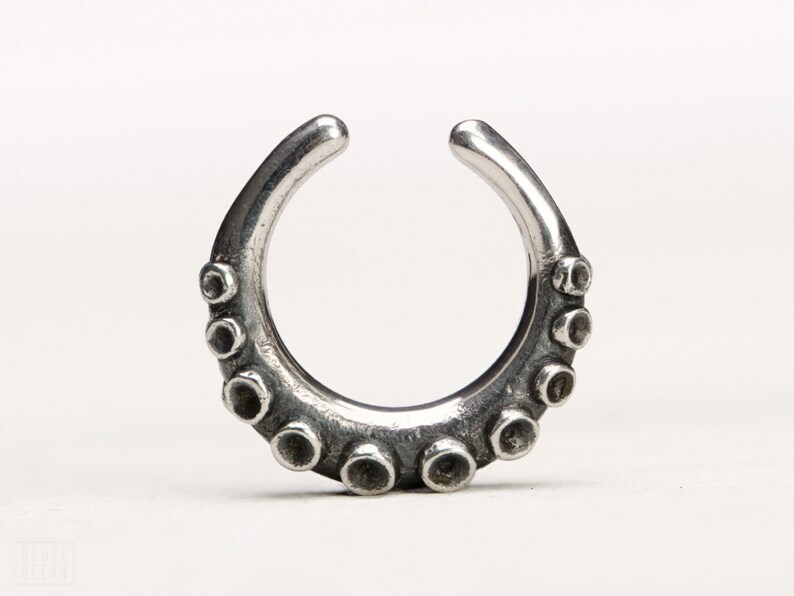 Octopus Tentacle Fake Nose ring piercing. 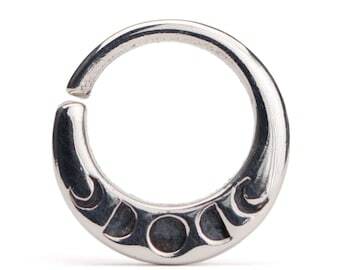 Silver Fake septum ring Jewelry. Boho Jewelry Hipster Modern style. Sold by piece. ♥ Want it now? Choose your option >> Choose the Qty and >> Click the green "Add to cart" button. All our pieces are packed in Jewelry Boxes. It will make the perfect moment for yourself or the ones you Love! If certain pieces are intended as gifts, please leave us a note or mark your order as a Gift at check out. No receipt or invoice will be included with your jewelry. Perfect piece to use for my punk Ariel cosplay! I’ve been curious about what I’d look like with a septum ring but I didn’t want to commit to actually getting a piercing yet. I’m so glad that I came across these! Oh my gosh it was beautiful! Fit really well, looked just like the picture. It was gorgeous. I’ve worn it out so far and I don’t think I’ll actually get a piercing because of how good these look. 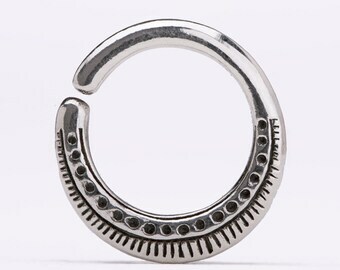 Absolutely adore this septum piece, a wonderful addition to my collection. Great quality and arrived so quickly! Thank you!! Love it, however when it came I had to cut it down and file it so it would fit :\ The space left for the septum is MUCH smaller than similar products I have purchased, however the silver is great and so is the quality... the cut / filing wasn't relatively hard to do, just disappointing I had to do so. Our Jewelry is made with man-made opal gemstones. It has the same molecular structure as a natural Opal. The main difference between man-made and natural opal is that, in our gemstones the naturally occurring process has been sped up in machine artificial conditions. Our synthetic opal is a beautiful opal with a perfect color and brightness. How do I Keep my Jewelry from Tarnishing? All jewelry, except solid gold items, can and will most likely tarnish at some point. To prevent this from happening, or to slow it down, it is best to keep jewelry dry and away from lotions, perfumes, and any other weird chemicals. This is especially the case with brass jewelry. Some jewelry will also react with water that has chemicals in it, like pools or hot tubs. 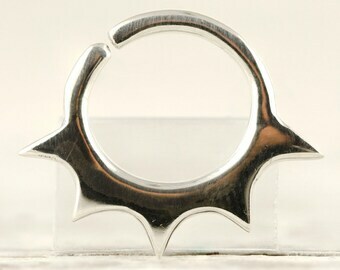 You can clean most jewelry with a jewelry polishing cloth (Never use it on gold plated jewelry). You can also use a cleaning solution safe for your jewelry's material (except jewelry with gemstones. It could hurt the stone.) 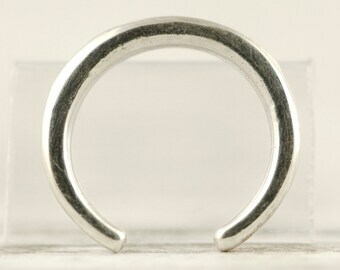 Also be careful with any rings that have gemstones in it when using a cloth. Try to avoid stones. My work is available for wholesale. Please contact me via Etsy or my email: rebeljewelrymail@gmail.com for line sheets and other important info. Also please tell me a bit about your boutique or shop! No, our jewelry is 100% Nickel Free! 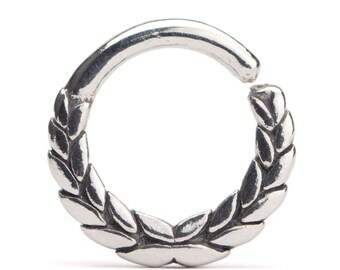 Earrings Sold in Pairs or Single? Ups! Wrong Shipping Address on your order! HELP! No worries! Contact us right away and we will change the address on your shipping label. My bronze jewelry is turning my skin green. What can I do? Some people have strong reactions to bronze especially on the fingers, while others have no reaction at all; everyone's skin is different. If you are susceptible to these reactions, we suggest purchasing Sterling Silver jewelry.